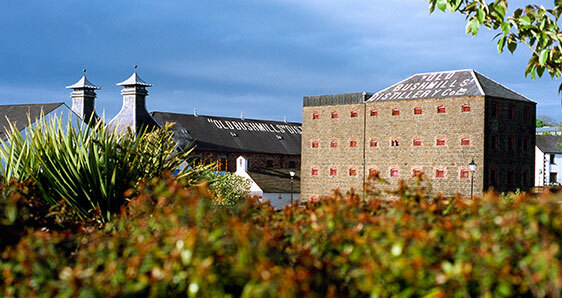 Situated near to the Giant’s Causeway in County Antrim, Bushmills is one of Ireland’s most historic and interesting distilleries. 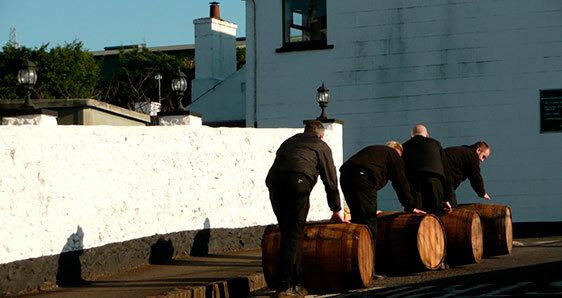 Although the area was granted a license to distil in 1608 the distillery itself can trace its origins back to around 1784 when a small and rather insignificant enterprise was set up. This was a haphazard venture with many years of closure and changes of ownership. 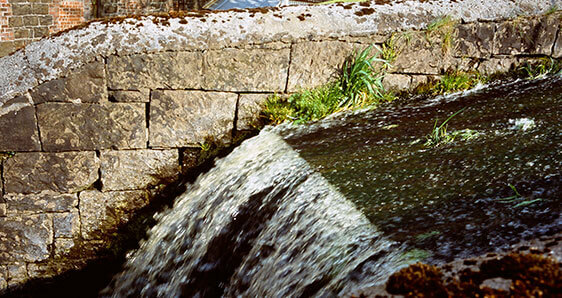 It was not until 1835 when James McKibben took over that the distillery was able to move on and become well known across Ireland. McKibben’s timing was good and business thrived up until disaster struck in 1885. That is when the common but not inevitable threat of fire struck the premises leaving all but the grain store and bare wall of the other buildings left. Bankruptcy brought in another change of ownership and James Steen Boyd and Charles C. Connor emerged as the major shareholders and directors. Again it was a fortunate time for a change. The vine louse phylloxera vastatrix was decimating European vineyards and as a consequence French brandy was almost impossible to come across. Whiskey was set to take the world by storm and Boyd invested ambitiously in a steam boat to carry Bushmills to far flung destinations. It was a bold idea but ended in costly failure for he hadn’t made an accurate cost assessment. He rather foolishly sent it on a round-the-world maiden voyage when the time would have been better spent ferrying whiskey across the Atlantic to thirsty Americans. This brief but prosperous period was followed by a slump brought on first by what became known as the Patisson crash in Scotland. Patissons were a large firm who had foolishly been buying their own stocks using credit. The company had been highly valued on the stock exchange and when they went bust the market and confidence in whiskey collapsed. 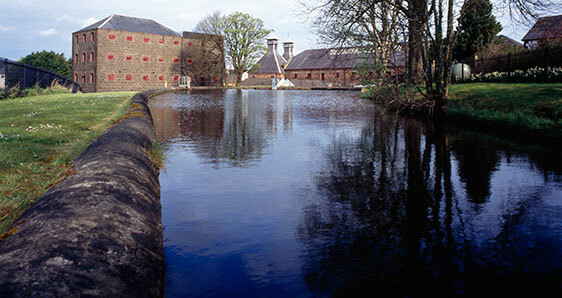 Bushmills struggled on content in the knowledge that its reputation for fine malt whiskey would carry it through. Then another hammer blow came. The First World War brought shortages in commodities and a less tolerant attitude to alcohol. The distillery had managed to struggle on but in 1920 amid accusations of tax evasion the company was liquidated. By 1923 the distillery was up for sale again, but this time Ireland was a very different place. Enter another Boyd, this time Samuel Wilson Boyd. This time the distillery was under a different kind of ownership. Boyd had a salesman’s flair and also the ability to spin a good yarn. Unlike most other Irish distillers he was able to route his whiskey into the speakeasies of Prohibition era America effectively sealing the company’s reputation in the States for decades to come. Following his death in 1929 Samuel Wilson Boyd’s sons Wilson and Austin took over at Bushmills. 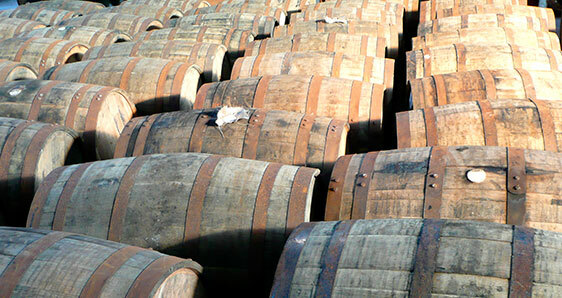 It turned out that since 1923 the distillery had been effectively left to rot with only sporadic production leaving severely dwindling stocks. In fact their father had been a great salesman but utterly useless as a distillery manager leaving only a handful of casks dating back to 1914. It is round about this time that a curious event happened. The distillery manager, a Scot named Morrison decided that the current double distilled spirit was unusable and set up the means to practise triple distillation. Misfortune at other Irish distilleries meant that the Boyds were also able to buy up excess stock and plant machinery to get their own company back on track. They were soon back in business and were making triple distilled whiskey for the growing post-prohibition market in the US. 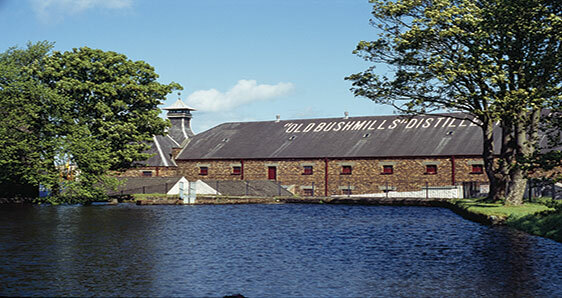 Bushmills was quietly able to continue making whiskey in its sleepy uninterrupted style up until 1972 when it was acquired by Seagrams and eventually merged with Irish Distillers in 1978. Now in the hands of a multi-national there was the opportunity for investment and expansion. The distillery grew and capacity increased. Ownership of IDL changed over the years. 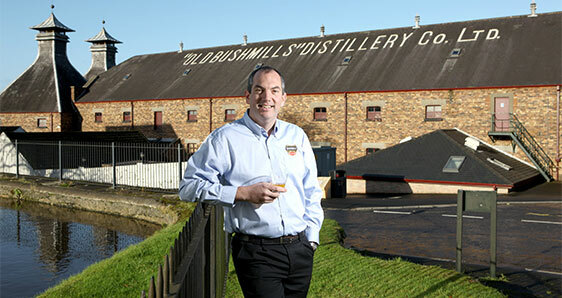 Then, in 2005 Bushmills was ‘offered’ to Diageo as a pawn one of the industry’s mega sales of brands and lesser companies. 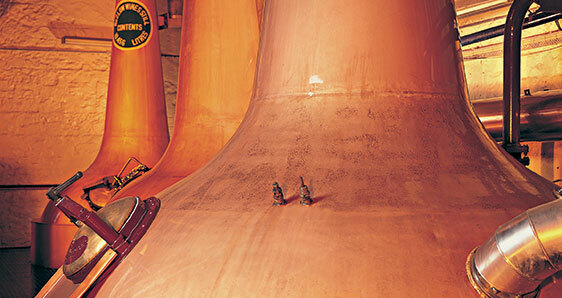 Diageo spent over €100 million on the distillery, ramping up production in anticipation increased sales. Then in November 2014, it was announced that Bushmills was being bought to Mexican liquor company Jose Cuervo for $408 million. 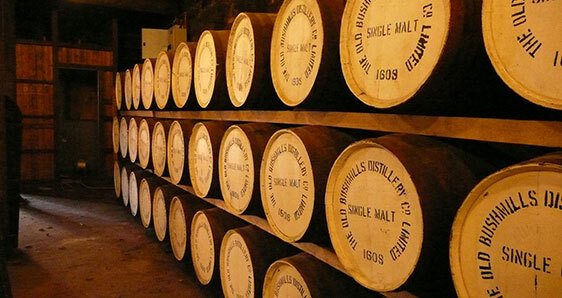 During Diageos time, the company had concentrated on their core range, but there's now great hopes that Jose Cuervo will be a little more flexible and we'll see some new Bushmills whiskeys on the market soon. A rare bottling of Bushmills from the Scottish Malt Whisky Society. This was distilled in Dec 197..
A single sherry cask matured bottling of Bushmills whiskey. This was distilled in 1989 and bottled a..